O2 has confirmed to TechRadar that iPhone users will be able to unlock their iPhone for free and use it on any network they wish at the end of their contract term. 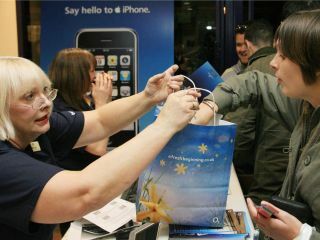 "The Apple iPhone has been available in the UK exclusively on O2 since November 2007. Once the iPhone becomes available on other UK networks, Pay Monthly customers on a consumer or business account will be able to unlock their iPhone without charge at any point during their contract. "This also applies to BlackBerry and Xda. All other devices are unlocked on o2 automatically. Customers will still have to honour the remainder of the minimum term on their contract even if they place a non-O2 SIM into it. "Pay & Go customers can unlock their iPhone or any other device on Pay & Go, after twelve months with O2, for a £14.69 one-off fee, which is deducted from their airtime balance." CEO Matthew Key was quoted in The Times as confirming the network would be allowing customers to unlock the iPhone after it was rumoured the network would be blocking it. "At the end of their contract period, they are entirely free to move to another operator - though naturally we hope they won't want to!" We have contacted Vodafone and Orange to find out whether they will also be allowing customers to unlock the device at the end of their contract, but we'd assume that this would be the case after O2's confirmation.